Taking notes is not a skill that comes naturally to many students, but it is also not a skill that is taught in many classrooms. 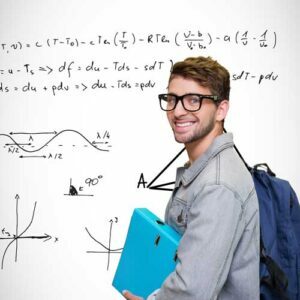 Note Taking is one of the most important study skills for High School Students and College Students. Because note taking is so important to educational success, it is important that students learn proper methods for taking thorough notes. The outline method of note taking is one that will look familiar to many students. The outline method of note taking starts on the left-hand side of the paper.The most important points are placed at the left edge of the paper.Less important points, which are typically ideas that support the main points, are indented to the right.Each set of less important points is indented more to the right.It is easy to see, at a glance, the level of importance of the different ideas because of the distance between them and the major points. An alternate form, which requires a little more thought, is to start with minor points to the left and indenting as points get more important. The alternate outline form is best used in lectures where minor ideas are used to build up to the most important ideas. With either form, indentation is enough to show the importance of the ideas and the relationship between them. If you would like something more concrete, however, you can opt for using dashes, bullets or a Roman numeral and letter combination for further emphasis. For the sake of speed and being able to focus on the lecture, you may want to consider adding the marks after class when you review your notes. The outline method of note taking has several advantages. The outline method not only shows the content and main points of the lecture, but also shows the relationship between points. With an outline, it is easy to identify the main points of the information, and reviewing can be as simple as turning main points into questions. In addition, the outline is set up so simply that it takes very little, if any, editing for notes to be easily understood. A major benefit of the outline method is the ability to focus on the lecture. Outlining does not require speed or great detail in the writing, both of which take away from your ability to listen to what is said. Outlining does require that you pay enough attention to the lecture to be able to outline the kn>ey ideas, which can help you retain more of the information. There are some disadvantages to the outlining method. The outline method can be difficult to use in science and mathematical courses because those courses need more of an ability to show sequential relationships than outlining offers. Courses with fast-paced lectures may also be difficult to outline, partially because outlining requires the note-taker to think about organization. For teachers, you may wish to familiarize students with different styles of note taking in addition to Outlining, such as charting and mapping. There is plenty of information online or you can use a Lesson plan for taking notes. 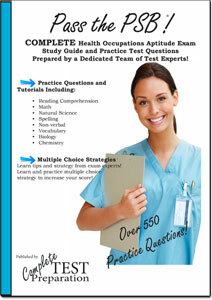 The outline method is somewhat familiar to most students, and can be easily used for many classes. 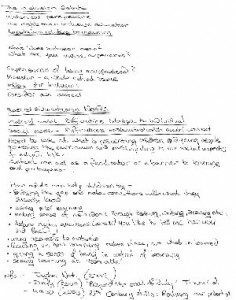 Although it does require the student to think about how to organize the notes, the outline method is simple in design and allows students to focus on the lecture. The outline method of note taking is an excellent way to ensure your educational success. Actually about 1,000 people everyday LOL! When you have to submit your notes either in a Cornell or Outline format- knowing what your doing really does help. I only wish there was a more detailed example. Well Vanessa if you curse then you ARE stupid because you obviously don’t know how to express your feelings. Its not good to curse. And you won’t be stupid if you don’t curse thank you. But yes, you’re right that this is useful. Great resources. Wish i could find more info like this from other people! Thanks! Interesting thought! 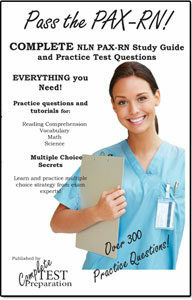 You have covered almost all part of the the Outline method. However one thing I would like to is that “Outlining records content as well as relationships. Outlining also reduces editing. Your notes are easy to review by turning main points into questions.” 5 tips to take great usable notes- 1. Make clear and accurate notes, 2. Minimize distractions, 3. Come to class prepared, 4. Organize your notes, 5. Use abbreviations and symbols. 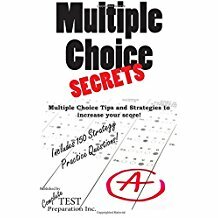 I have learned the above 5 important points of note taking from a book Secrets SMART Study System offered by 4 hour study week. It helps to learn the power-napping techniques and sleeping habits that will instantly boost your focus, creativity and ability to learn and memorize better. More importantly it helps a student to secure better grades in the class. I believe this website is very helpful. When I note take, I write in the outline format. I find it to be more useful when it comes to taking many notes. I start off by writing my main idea. Then, I place bullets under the main idea to write down important information on the main topic. If there is still more to be emphasized, I then place numbers. Thanks for your comment. The thing about taking notes is that it isn’t taught and most people end up taking notes one way by default without realizing there are a number of different ways to do it. Everyone is different and there is no right or wrong way. Whatever works for you is the best way! Though I already know this format, and the only reason I came here is because my online lesson said to, I did find this very helpful. I will be browsing the rest of your site and hopefully will find more great tips 🙂 Also, just kinda throwing this out there, if you find this annoying or “stupid” or “gay” then don’t read it. No one is MAKING you read it, or take it’s advice. By the way, if you’re going to use the term gay, find out it’s correct meaning. Gay means happy, but has been turned into SLANG for Homosexual. Also, the word stupid, that means someone is lacking intelligence or common sense. Here’s an example of the correct way to use the word stupid; If you are ignorant enough to post random remarks which make no sense, are only there to start controversy, and are completely INCORRECT and cannot even use terms in the correct way, then YOU dear sir/miss are stupid. If you wish to form a meaningful sentence and be taken seriously, learn common sense and read a dictionary. Am glad I could find such information. Keep up with the great work! Very precise and helpful. I like this website it is really helpful. I not only learnt about note taking from it but also the meaning of some words. Thank you C for the great comment you posted. I really appreciate it.